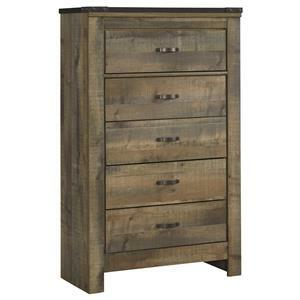 This six drawer chest will add beautiful natural appeal to your bedroom. The piece is made right here in America from robust Alder solids and comes in eight custom finishes, so you can have that personalized look you'll love. 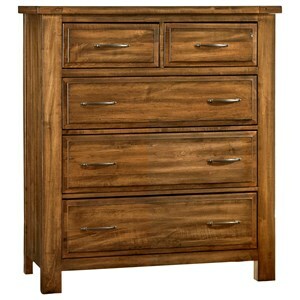 The drawers are constructed with dovetail joinery and full extension ball bearing glides for durability and smooth use. 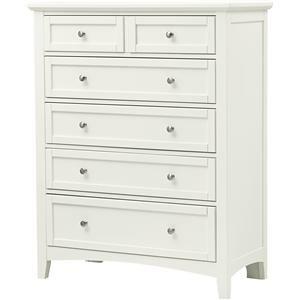 Finish it off with sleek nickel knobs and you have a piece that will last for many years to come. 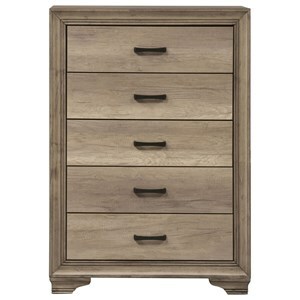 The Shaker Bedroom American Made 6 Drawer Chest by Archbold Furniture at Godby Home Furnishings in the Noblesville, Carmel, Avon, Indianapolis, Indiana area. Product availability may vary. Contact us for the most current availability on this product. This Alder Shaker Bedroom collection will add the quaint feel of the country to your home for an elegant country chic style that you are bound to love in your bedroom suite. Each piece is available in 13 beautiful finishes so you can find the look that is perfect for your home. Choose from either a sleigh bed, captains bed, or slat bed to add to your bedroom suit for the perfect down home look. The storage pieces provide ample storage room for you to store all of your clothes and valuables neatly away. The country chic style is completed by framing details, block feet, and slat details to create a look that you will fall in love with over and over again. The Shaker Bedroom collection is a great option if you are looking for Casual Mission furniture in the Noblesville, Carmel, Avon, Indianapolis, Indiana area. 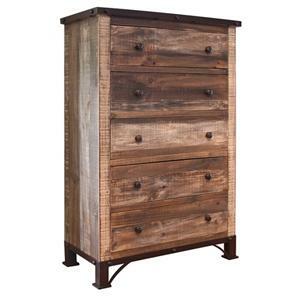 Browse other items in the Shaker Bedroom collection from Godby Home Furnishings in the Noblesville, Carmel, Avon, Indianapolis, Indiana area.